A stunning 40th anniversary edition of one of THE classics of the 20th century that will remain timeless forever. Available in both hardback and paperback in this anniversary edition. Great for sharing or reading alone, this edition celebrates their special brand of magic that has been enchanting children for generations. 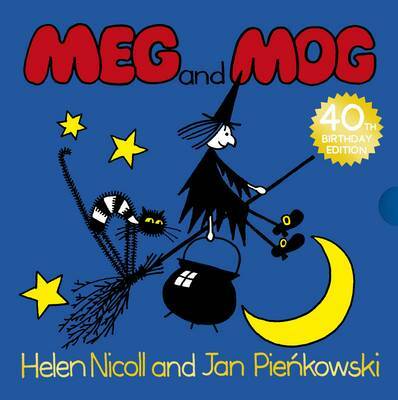 Meg the witch and Mog her cat go off to a wild Hallowe'en party with all the other witches. The spell they cast goes off with a BANG! 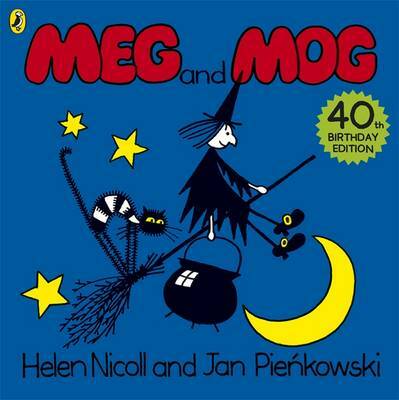 Meg and Mog is the perfect story for sharing or reading alone, and children love exploring the colours, sounds and shapes.